Ah-ha! The Eye of Agamotto! 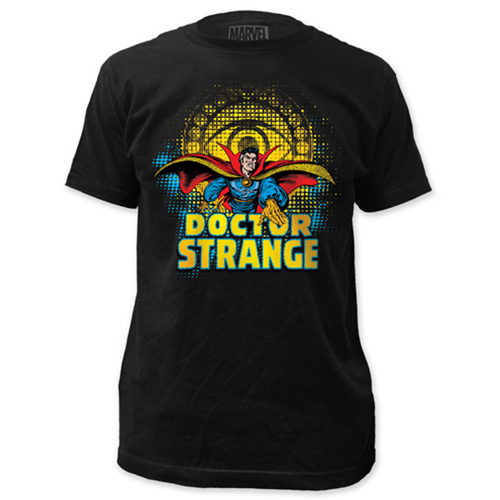 The Eye, Doctor Strange, and his name all leap from the front of this marvelous Doctor Strange Eye of Agamotto Black T-Shirt. The shirt comes in sizes S, M, L, XL, and XXL.